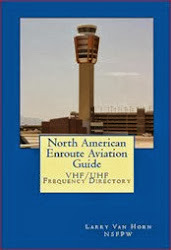 There are a lot of old frequency and callsign list that float around the internet. One of these old list involves a U.S. HF military network that has been identified in the past as the GCCS, GHFS, Global, and HF-GCS. Now it is called the HF Global Communications System (HFGCS) and can have some interesting military aircraft traffic on it from time to time. providing air / ground HF command and control radio communications between ground agencies and US military aircraft and ships. Allied military and other aircraft are also provided support IAW agreements and international protocols as appropriate. The HFGCS is not dedicated to any service or command, but supports all DoD authorized users on a traffic precedence/priority basis. This is a DoD Joint Chiefs of Staff network and is a high priority service within DoD. When it was first first formed under a different nomenclature several years ago, it combined several other high priority nets such as the US Navy Hicom net into this one network. SCOPE Command replaces older high power Global HF equipment. SCOPE Command incorporates Automatic Link Establishment (ALE) to automate communications. All HFGCS station transmit and receive equipment is remotely controlled from the Centralized Network Control Station (CNCS) at Andrews AFB, MD. using the collective callsign "MAINSAIL" or the HFGCS station call sign (example: Sigonella Global this is Dark 86 on 11175, OVER). HFGCS operators require approximately 10 seconds (for automated equipment configuration) to respond to calls for service. The HFGCS operator may request the aircraft change to a discrete frequency for improved and/or extended service. Published Frequency Listing - HFGCS stations operate on “core” frequencies to provide increased "Global" coverage. The published frequency listing does not reflect complete system frequency authorizations. These published frequencies will be used for initial contact, EAM broadcasts, and short-term C2 phone patch and message delivery. Other extended or special services will be moved to each station’s available "discrete" frequencies. Here is a current list of HFGCS stations and the network's primary frequencies. Andersen AB, Guam; Andrews AFB, Maryland; Ascension Island; Croughton AB, United Kingdom; Diego Garcia NS, Indian Ocean; Elmendorf AFB, Alaska; Grand Forks AFB, North Dakota; Hickam AFB, Hawaii; Lajes AB, Azores; McClellan, California; (aka West Coast); Offutt AFB, Nebraska; Salinas, Puerto Rico; Sigonella NS, Sicily, Italy; and Yokota AB, Japan. The Air Force Eastern Test Range (AFETR) HF Network may be used as a backup to GLOBAL. The net can be contacted on 10780.0 kHz/USB (primary) and 20390.0/USB kHz (secondary) using the call sign of CAPE RADIO. Another backup to the HFGCS is the US Air Force MARS.